Men and women, young and old, multi-generational families – they all came for one purpose. 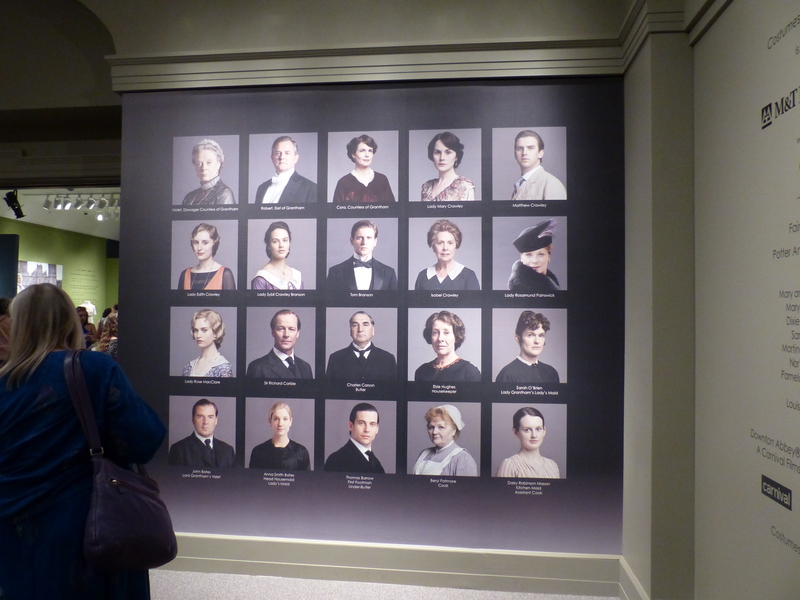 In this parched viewing land between seasons, they come to taste of Downton Abbey. Though it takes a mere 45 minutes to view the collection, it does not disappoint. 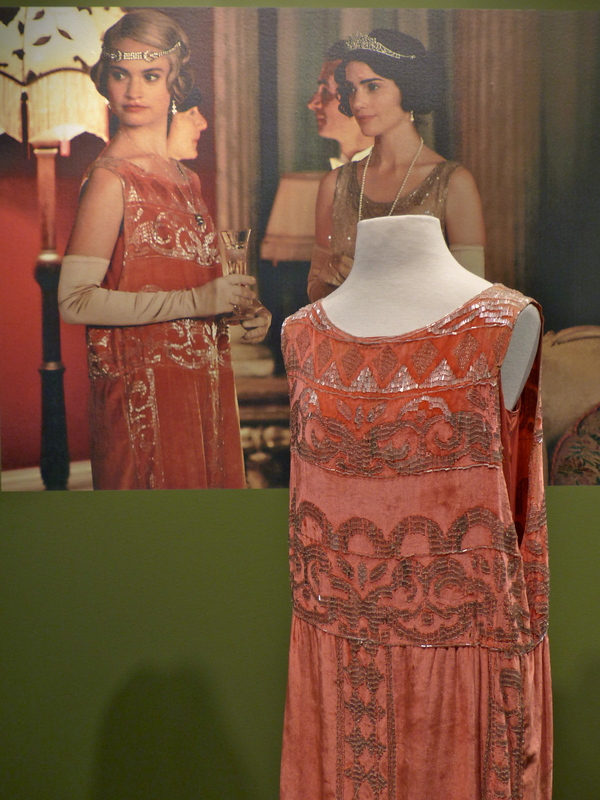 This is the fashion of the Downton Abbey – forty notable outfits warn by characters throughout the seasons. But these are not simply costumes, they are real clothes, some original pieces from the period, restored to live again in glory on screen. When I watch the series, I’m usually engrossed in the storyline, but I’ve increasingly come to appreciate the eye candy – the décor, costumes and even the culinary masterpieces put before the characters several times in each episode. The series is notable for its attention to detail and period authenticity in most areas. The costumes, of course, are no exception. 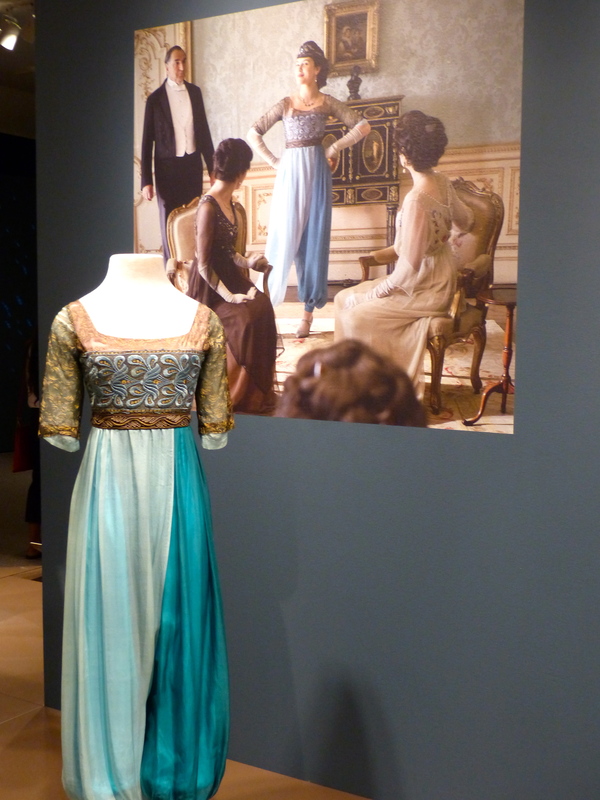 The exhibit at the Winterthur Museum, located near Wilmington, Delaware, in the United States, describes the process of designing and creating costumes for the characters, paying particular attention to fabrics and colors. 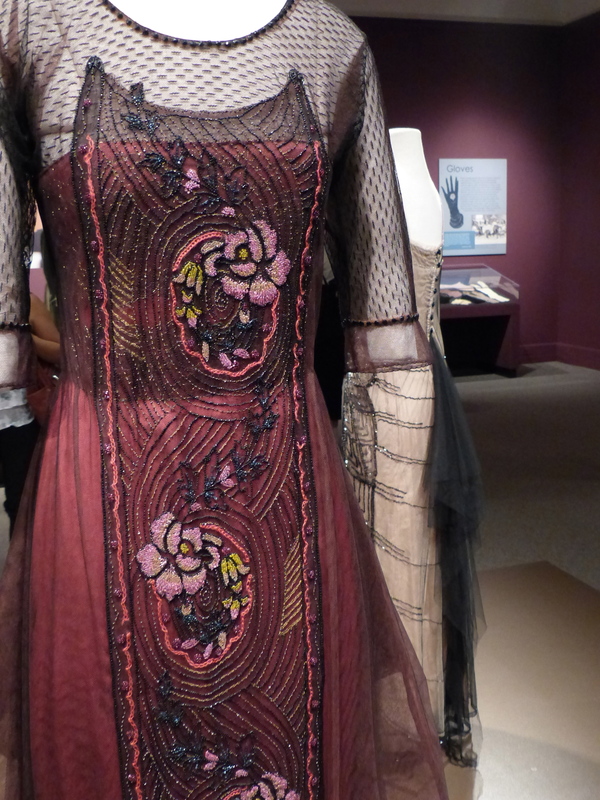 This is only fitting for Winterthur, considering it hosts one of the most extensive collections of 18th and 19th century printed textiles in the United States. 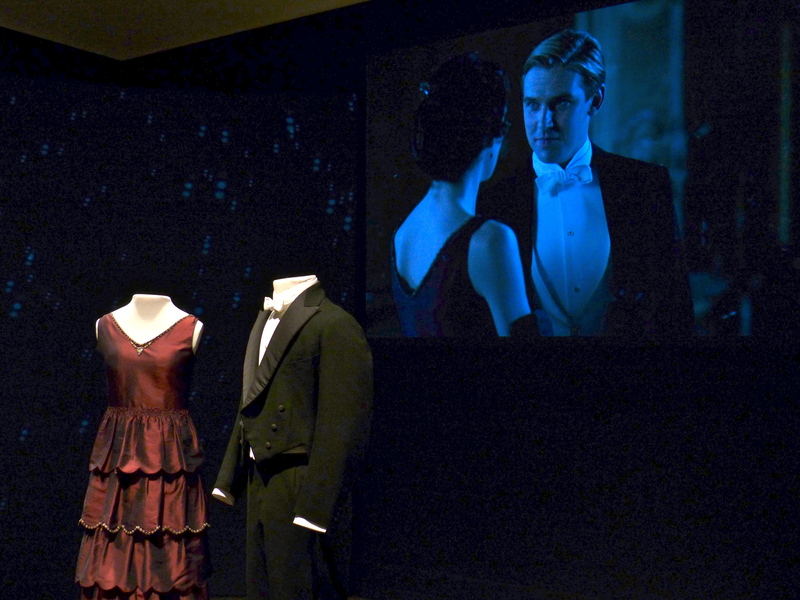 In several sections of the exhibit, video screens loop notable scenes, with costumes from the scene on display. In other areas, life-size photographs are the backdrop to the fashion, with placards explaining the piece’s significance. 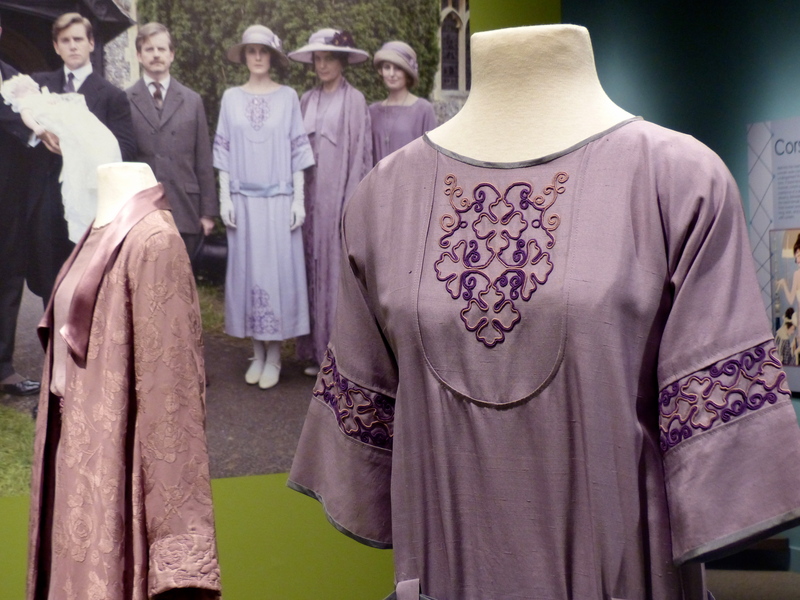 For Downton Abbey novices or those who may not be particularly interested in fashion, the exhibit gives an outline of the show, its context in history and relates the life of Downton’s characters to individuals who lived in Winterthur, which had its own upstairs and downstairs. 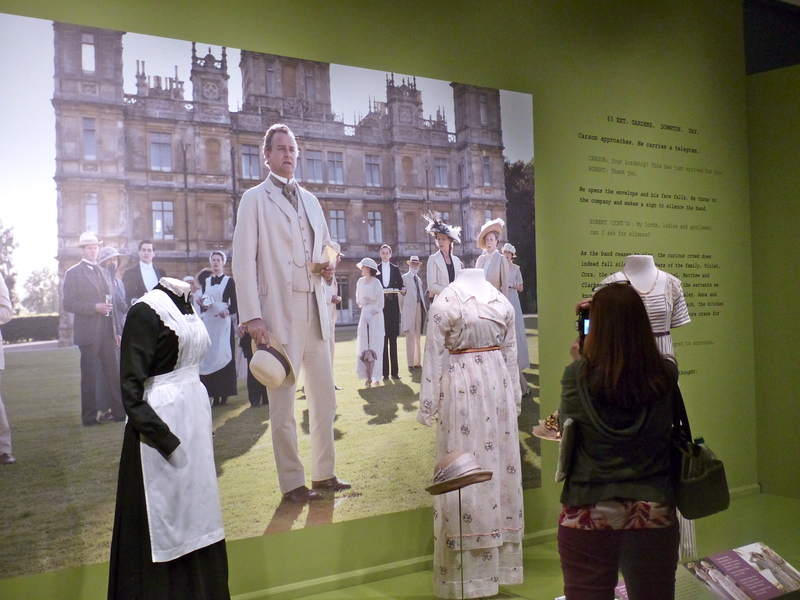 One particularly notable aspect of the exhibit is how it places television script opposite photos and a specific dress or suit. As I read the script with the visual cues, the particular scene came alive in vivid detail. Who needs to watch a scene on screen when all the ingredients for a perfect drama are perfectly laid before you? For those who wish to visit Winterthur and forgo the Downton experience, you save a hefty $30 and receive a ticket stub that reads “not interested in Downton.” And if you don’t relish the thought of taking small children into the exhibit, Winterthur’s regular offerings are equally delightful, including the enchanted garden, a fairytale land reminiscent of the fairytale garden in Ludwigsburg, Germany. And the quality of this photo leaves much to be desired, but for those who must know, a scene of the proposal loops in the background of a dimly light corner, complete with falling lights to simulate snow. 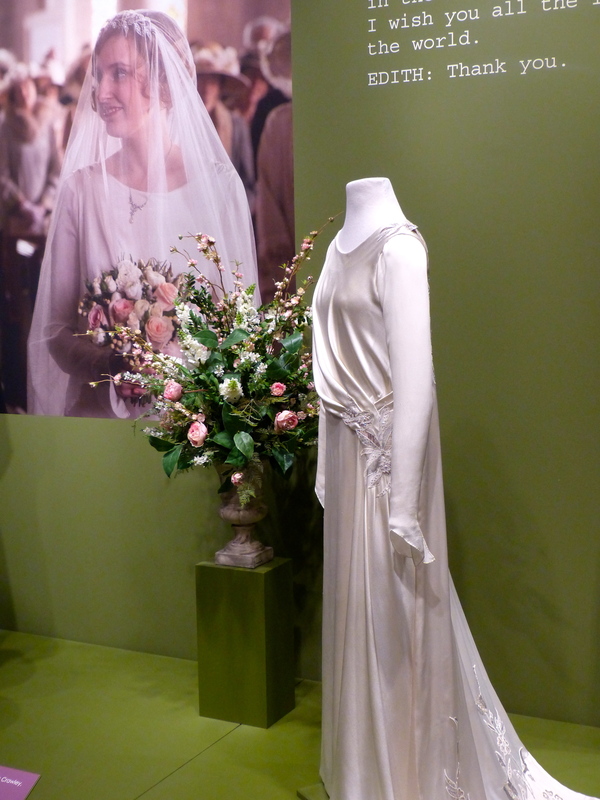 The original proposal costumes are on display as you can pay respects to a true love story.